This Californian native can be found as far south as Texas and as far north as Washington. Featuring attractive yellow flowers with white tips, this annual wildflower blooms from March to June along foothills or grassy areas. 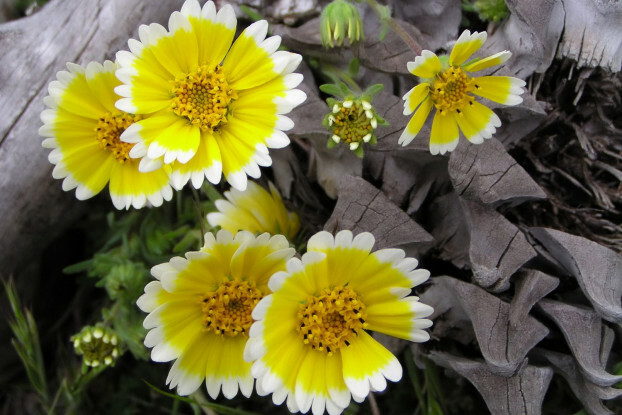 Tidy Tips is drought tolerant and thrives in full sunlight and well-drained soils. It forms a dense mound and grows up to 18 inches tall. It is very well suited for mass plantings and wildflower mixes. It also looks great in rock gardens and borders.